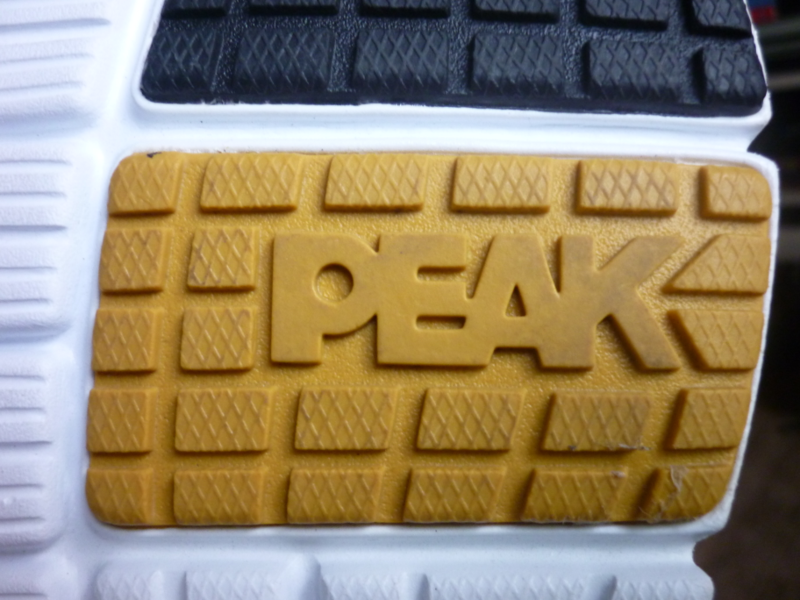 Last month, I purchased a new running shoes to replaced my 14-month old Umbro running shoes. I decided to replace my old running shoes because I felt pain in my left knee during a 7-km run although it goes away after two weeks of rest. Also, there's a part of my old shoes that's totally worn out telling me to replace it. I bought this pair of shoes for a discounted price of PhP1,300 (roughly $30 in 1 US dollar = 42.8500 Philippine pesos exchange rate). 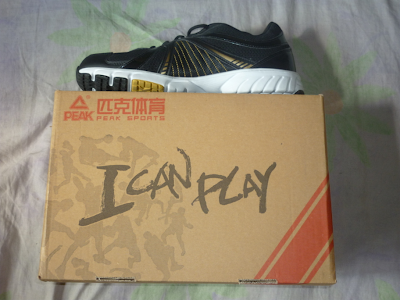 This is the only pair of running shoes I used in my recent trainings and runs. I still used my old Umbro shoes when I go to gym. If I have extra money, I would buy another pair of shoes that I will use in running events/races only because ideally a runner should have two pairs of shoes, one for training and one for the race. 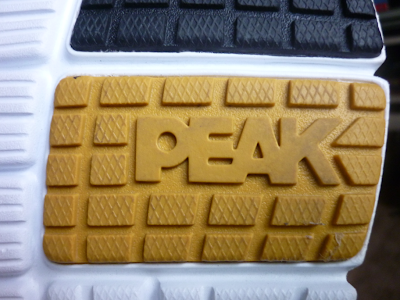 aha new shoes ;) Peak is highly endorsed by my Chinese friend who's into shoe business. my fave running shoes is a Nike Structure 13 Bowerman Series. tagal ko na gusto gawan ng story but dami pang unposted events eh. wanna guess how many running shoes I have? lol. Pag nahulaan ko ba eh bibigyan mo ko? hehe. Pangarap ko rin bumili ng mga branded kaso di pa reach ng budget ko sa ibang low-profile brand muna ako. Well, even you’re not a runner ideally we should have more than one shoe for better hygiene. And for our feet's sake it’s better to change shoes everyday so it doesn’t smell. Sumuporta din po dito hehehe.